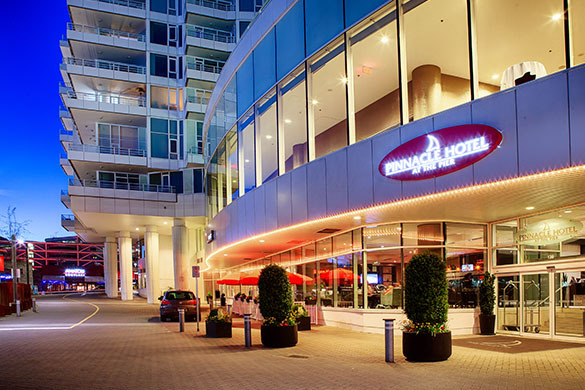 Easily accessible in Lower Lonsdale off Esplanade Avenue, the Lobby Restaurant & Lounge offers complimentary parking at the Pinnacle Hotel at the Pier. Please use paystation in the hotel lobby and present your parking receipt to your server for dining rebate up to $12. Otherwise, there is plenty of parking around the Shipyards on Wallace Way or at Lonsdale Quay.